The Queen’s Speech included a local growth and jobs Bill, which is intended to localise business rates, but councils fear that the Government’s approach will be unfair. Given that Ministers have given no indication of how they intend to go about achieving it, we can use only their past behaviour as a guide, and that is very worrying indeed. The Government’s council funding cuts clobbered the poorest 10 councils with cuts 23 times bigger than those experienced by the 10 richest councils. This year’s £300 million cuts relief fund was gerrymandered to ease the pain in those Tory-voting areas that had suffered the least, while offering nothing to those areas that had suffered the most. It is no wonder that the National Audit Office is investigating that perverse decision. If business rate localisation is gerrymandered in the same way, it will stifle growth in those parts of the country that need it most, thereby creating more poverty, fear insecurity and alienation. This is all part of the Government’s ongoing refusal to challenge inequalities of power and wealth right across the society. The social contract that underpinned our society has been shattered. The promise was that if someone worked hard, they would get on, and if they could not work, they would be looked after. Today, however, even if someone works hard, they might not be able to pay the bills or put a secure roof over their family’s head, and if they cannot work, they risk being thrown to the wolves. 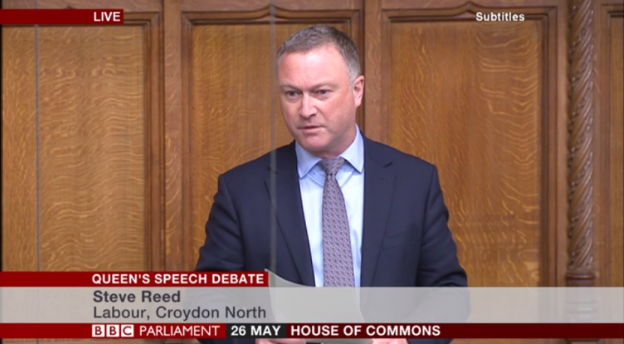 There are parts of my constituency in Croydon North where too many people feel left behind because work is insecure and incomes do not cover the basic household bills. Globalisation is certainly creating great innovation, wealth and opportunity, but it is being allowed to leave too many people and their communities behind. It is sharpening inequality, moving populations on an unprecedented scale, threatening the environment and stoking political and religious fundamentalism. Alongside strengthening regulation at the centre, devolution should be used to put real power into people’s hands to challenge the blatant unfairness of the system and to build communities’ capacity to manage those great changes on their own terms. Anger is rising across the industrialised world. If people do not have faith that a system is working fairly for them, they will kick back against it. When legitimate concerns do not get heard by the political mainstream, they push towards the margins. As my hon. Friend the Member for Penistone and Stocksbridge (Angela Smith) said earlier, politics is polarising in a dangerous way. People are angry about a political system that is failing them, elites that are exploiting them and wealth and opportunity that are bypassing them; but instead of addressing all that, the Government are fuelling forces that are pushing inequality to breaking point, and the consequences of that will be as dangerous as they are unpredictable.